This is a very easy home condensed milk recipe. In my country we have a big problem: most food manufacturers use palm oil instead milk in most of the ‘dairy’ products. So, buying a condensed milk, you cannot be sure, you are not just eating a bunch of bad and cholesterol rich fats. Another big problem is buying real milk even at the farmers’ market. Most of them sell only skim milk or use various tricks to make more milk than their cows can give. That is one reason why I keep goats. Set the milk to boil and add all the sugar. Stir it untill sugar dissolves. Then set it on a low heat. I forgot to mention that you need to use a pan with thick walls. You can use any pan, but a thick wall one would work the best. You would not have to be standing and stirring the milk all the time. It took me about one hour of low heat boiling to make condensed milk. I stirred it once in a while and added few table spoons of sugar along the way. When the milk got a bit thick and after an hour of cooking it, I added vanilla and 1 spoon of starch OR 2 table spoons of all purpose flour and stirred it well. You may do without the starch or flour, but the cooking would take longer and you’d get smaller amount of the condensed milk. Now, from 1 quart of milk I got about 0,6 quarts of condensed milk. 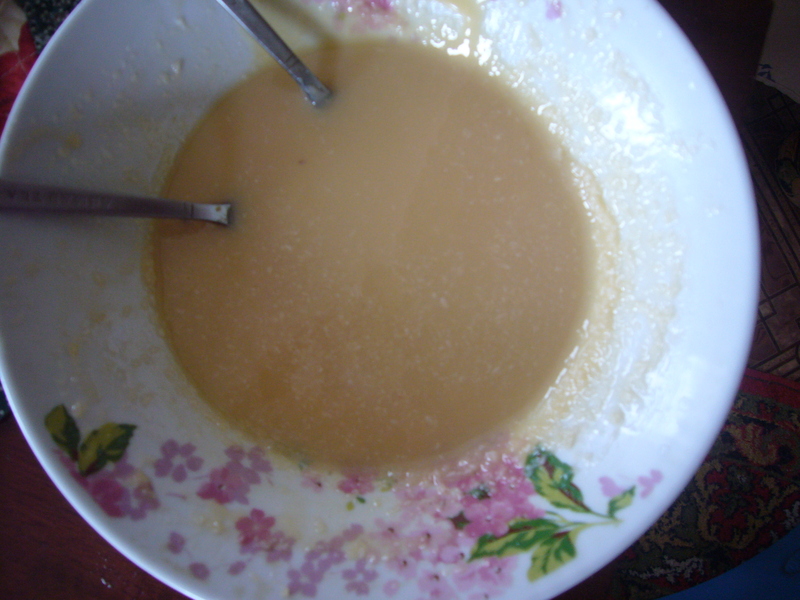 As you may see on the photo, it has a creamy color. To make it thicker, you may set it in a fridge for new hours. You may also add some coconut crunch or cocoa or anything else you can think about to flavor it. Here is an interesting fact: my home condensed milk is a natural and clean product, as it does not contain any chemical additions. And, it turns out much cheaper than the ready made condensed milk! 0,6 quart cost me only$2, while if I had to buy it, I’d pay at least $4,5. You can use this condensed milk easy recipe to make cream for your cakes, too. Even though condensed milk is not the most healhy food on earth, the homemade one is much healthier than the one you can get in a can. This entry was posted in Easy Recipes and tagged breakfast recipe, busy mom, condensed milk, condensed milk easy recipe, cooking, cooking tips, DIY, easy cooking, easy recipe, flour, food, green living, health, healthy foods, homemade, quick recipe, tips for moms. Bookmark the permalink.